Posted September 23, 2015 by Sandra Coffey, The Galway Independent in News. 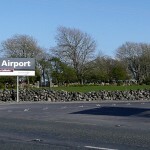 A feasibility study into the use of Galway Airport has recommended that the future of the site lies in the development of a creative campus centred around the film industry. The long-awaited study outlines key recommendations for the use of the Carnmore site, taking into account recent economic and market conditions. As well as recommending the establishment of a creative campus centred on the promotion or enhancement of the film industry, the report also recommends the development of a complementary mixed-use business park at Carnmore. This could include companies involved in film, creative arts, food and technology, providing a unique proposition for Galway, according to report. Responding to the recommendations, Galway City Council—which jointly acquired the airport with Galway County Council last June—said that the study considers how the potential of the strategic location at Carnmore can be utilised and be of the most benefit on a regional basis. 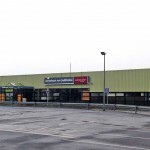 “These recommendations will now form part of the ongoing process that Galway City Council and Galway County Council are involved in regarding the future of this site. This will ensure that the potential projects and uses of the site have a sustainable economic viability over a reasonable period into the future,” said a council spokesperson. 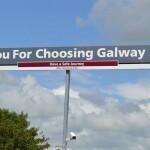 A special meeting of Galway County Council has been scheduled for today (Wednesday) to discuss the ongoing controversy surrounding the use of Galway Airport for the provision of the public service obligation route from the airport to the Aran Islands. 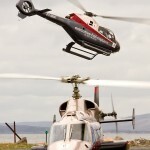 Executive Helicopters, the preferred new tenderer for the service, tendered to operate its service from Galway Airport to the Aran Islands.